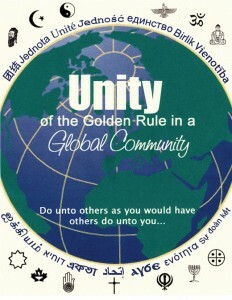 The goal of this program is to inspire and support young people to become global citizens rooted in the Golden Rule. 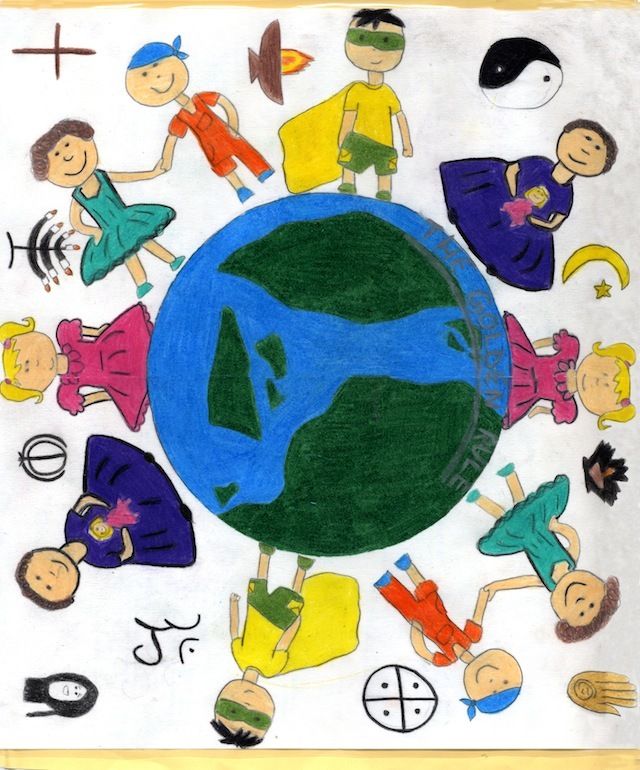 This effort to engender character education in young people is achieved using creativity, imagination and the arts. This program also serves to counter the negativity that so many of us, including young people, are exposed to in modern culture. This lesson plan/art exercise is very useful for teachers, youth educators and youth leaders because it deals with themes of youth empowerment, global citizenship, social justice, non-violence, cooperation, multiculturalism, multifaith, ethics, diversity and the arts. 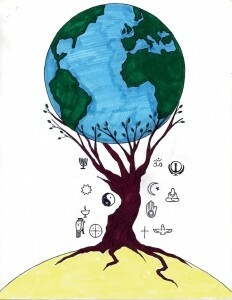 This outline can be used as a lesson plan in schools or as an exercise with youth groups. The outline is quite detailed and contains a number of features and steps. Some teachers may wish to simplify the process by eliminating some steps. The purpose of the detail in this outline is to give educators and youth leaders an abundance of ideas and choices. 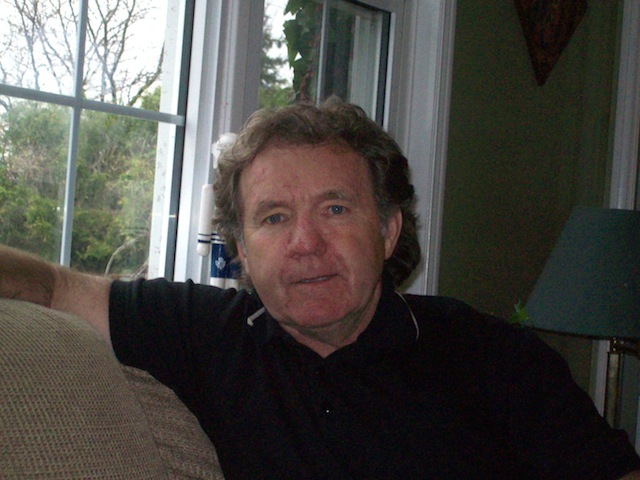 Some educators may wish to complement this outline by using additional methods and media including music, drama, trigger questions, and DVDs that focus on contemporary issues such as bullying, global poverty, diversity and the oneness of the human family. Scarboro Missions has had a good deal of experience using this art exercise and has found it to be both effective and fun for young people. Grade/Age level: Grade 3 (age 9) to Grade 12 (age 18). This exercise can easily be adapted for use with young adult and adult audiences. The exercise can also be conducted with an intergenerational audience. 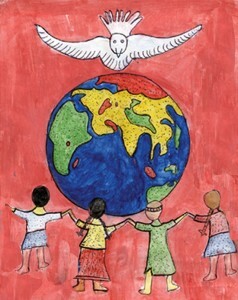 To develop an awareness of themselves as global citizens, that is, as members of one single, interacting, global human family. 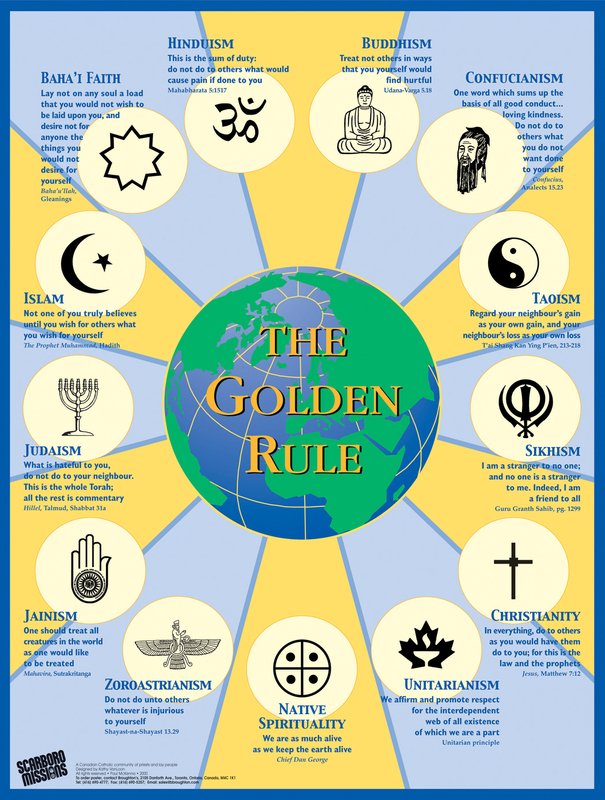 After providing a brief introduction to the concept of the Golden Rule, the teacher invites the students to read silently the Golden Rule texts from 13 religions that are featured on the Scarboro Missions Golden Rule Poster. Next, the students take turns reading aloud each of the 13 texts consecutively, allowing for a pause between each reading. 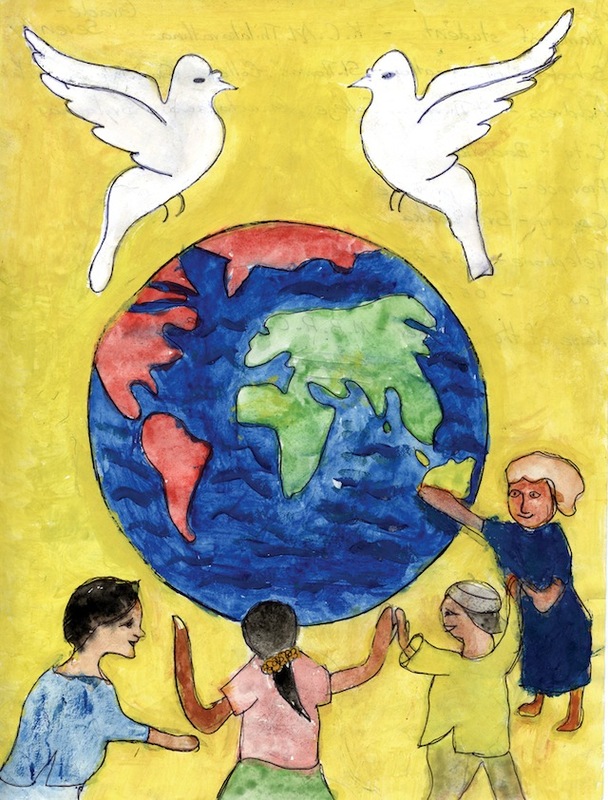 The teacher then invites comments from or discussion among the students about what they have just experienced.The teacher invites the students to view the Golden Rule Poster (22 x 29 inches). As an alternative to viewing the large poster, the instructor could make the smaller version of the poster (8 x 10 inches) available to each student. 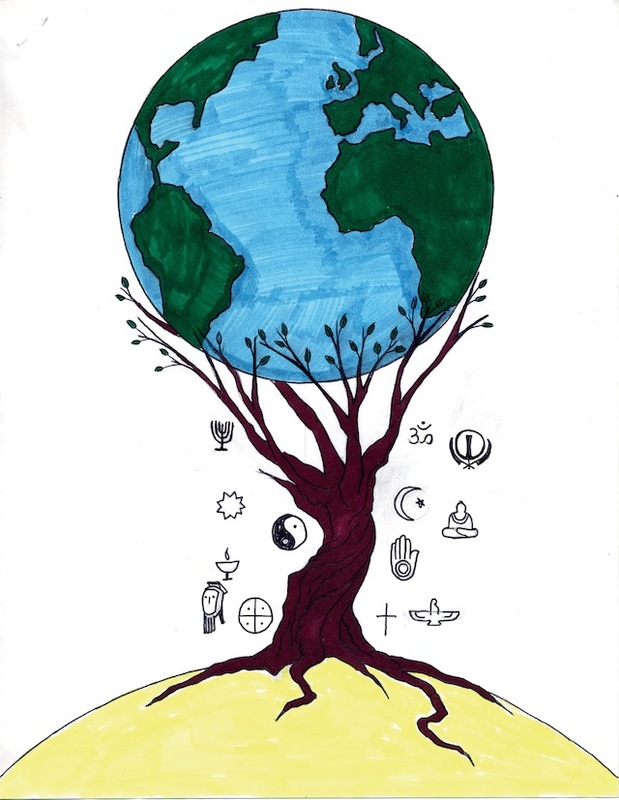 The instructor next initiates a discussion about the visual, symbolic and design qualities of the poster by focusing on some of its features: circles, colors, lines, overall design, centrality of the globe. 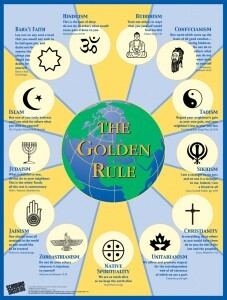 The teacher may find it helpful to consult the short article, Visual Impressions of the Golden Rule Poster, which contains comments by various individuals about the design of the poster. The teacher writes these words on the blackboard or chart paper. Alternatively, the words can be projected on a screen or Smart Board. The students may wish to close their eyes during this visioning experience. The length of the experience is left to the discretion of the teacher. 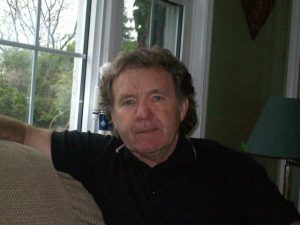 To have the students feel more comfortable with the visioning experience, the teacher may wish to provide a background of reflective instrumental music. 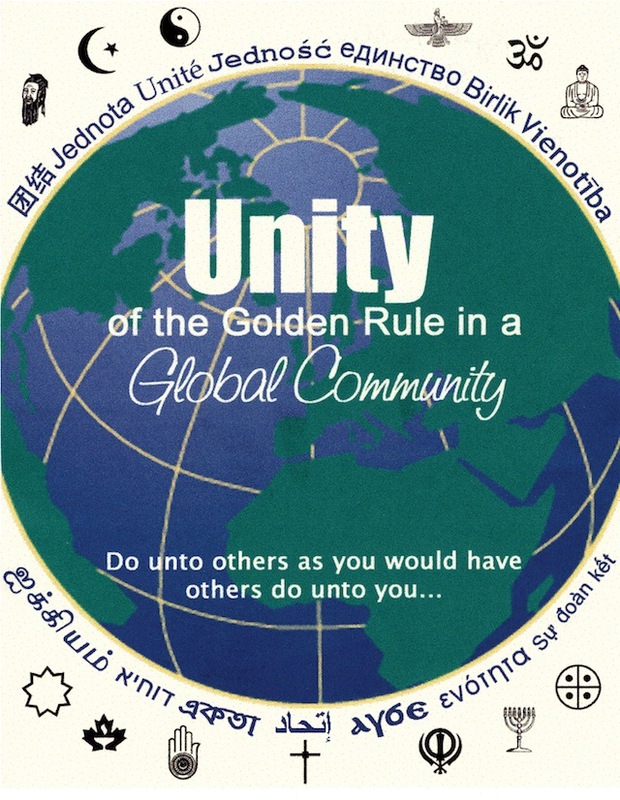 After this experience, those students who so wish are invited to share verbally their vision of “a Golden Rule World”, that is to say, their vision of the global human family in which everyone lives according to the Golden Rule. 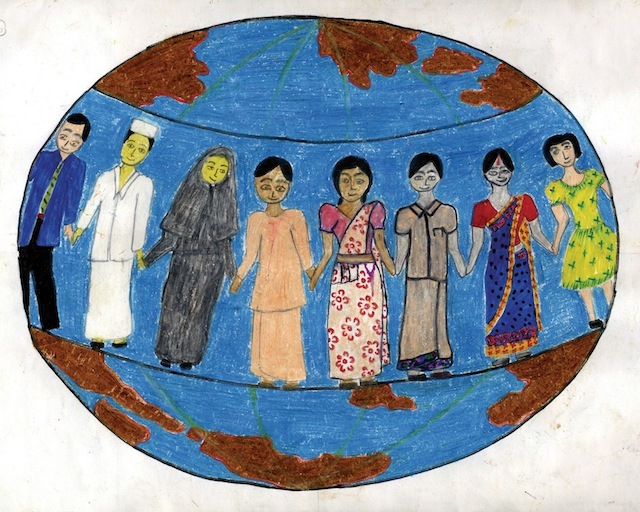 The teacher then invites the students to actualize what they have just envisioned or imagined by creating a piece of art that depicts a world in which every person lives according to the Golden Rule. The students are invited to use whatever shapes, colors, symbols and lines they wish. They may choose from a variety of mediums and materials, for example, pen, pencil, crayon, chalk, oil, acrylic, fabric, paint or collage. If appropriate or possible, computers can be used. The size of the art paper is left to the discretion of the teacher. If the teacher has taught this lesson before, he/she may want to share a few samples of the artwork done in previous classes. This may help some students get started. The teacher may wish to ask some students to discuss what ideas they have in mind for their artistic creation. Some students may wish to work individually creating a single piece of art; other students may wish to work in groups of two to four persons, creating one piece of art. Group work may be more effective with high school students than with elementary students. Working in a group will enable the students to apply the Golden Rule in their group process. A larger sheet of paper will be required to better facilitate the creativity and artwork produced by a group of students. 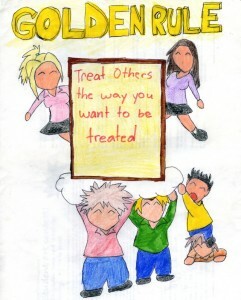 The students may choose to select one or more of the 13 Golden Rule writings to be placed somewhere on their artwork. If you worked with partners on this task, share some of your group’s experience of discussion and decision-making in your efforts to develop a vision and an artistic depiction of a world according to the Golden Rule. Following the presentations, the teacher encourages the students to share their thoughts and feelings about the art experience. Next, the students are invited to comment on their fellow students’ works of art that are now displayed throughout the classroom. For example, differences and commonalities among the art creations can be discussed.